Lektronikumuz, Remus Miron in his real name, is a true defender and keeper of the vinyl, one of the last of his kind in Romania. Remus is playing exclusively vinyl and he is, in my opinion, the only DJ still playing regularly quality Detroit techno in Romania. Born on 15th of June 1982, in Brașov (Kronstadt), the center part of Transylvania, Romania. He majored in Surveying Engineering, which is now his main line of work. In 2001 he started to organize a series of parties, with his friend, Dariotto, called Freaks Reunion Sessions. In 2003 he decided to create his own team for making experimental techno projects under the name The DJs Techno Conference (DTC). In 2005, he signed to the label Skills Records where he joined some of the best members, DJ-s & producers, from the techno scene of Romania: Horace Dan D, Mihai Popoviciu, ALCA, The Model, Minimus, Filipash, Darius etc. In 2006 he starts a new concept of events, called Fire In The Hole! after ElectrOPEN Funk series started in 2003. At this events, he invited some important DJ’s/producers like DJ Rush (USA), Mark Williams (UK) or Bryan Cox (USA). In 2007 he starts his biggest movement, Maraton – 3 days 3 nights, where the music, arts, extreme sports and nature combined – called Romanian Electronic Festival, with artists like Cristian Varela, Luke Slater, Dave Angel, Octave One, Danilo Vigorito, Trevor Rockcliffe, Space Dj’s, Paul Mac, Lucca, Dj Zinc, Spor, The Rogue Element, Bando, Paul Langley & others. 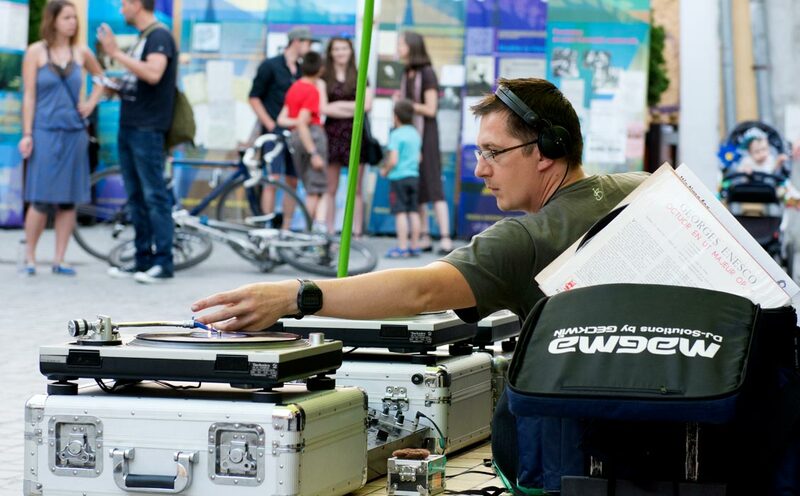 In 2008, after he signed a few tunes at Skills Records, he developed some other concept: this time signing labels from USA, Italy or Austria, labels like *Cutz, Total Wipes, Petrol Dollar, Dirty Stuff Records, Feiyr, Minli Music New York, Muenchen, DJs Techno Conference, PRO-Motion Records and others. His influences are based on his favorite DJ’s from techno, and start from the early 80’s, with many influences from Detroit techno & Chicago funk, a lot of ghetto & tribal rhythms up to hard groove. Based on legendary Hammond B3 Organ, fusion style of jazzy music basslines and dirty deep broken grooves with hot vocals. „Because of my interest in analog technology, and the fact that I am a vinyl performer, specifically, and an analog turntables player, I thought it would be fitting to do a report explaining the sound used in the original records, since 1988 (quite possibly the world’s first good period of electronic vinyls), and explain how their immense popularity in the 80’s and 90’s helped shape the technology of the earliest gramophones, and the needs of early vinyls players in general”.